2013 – Multicore World 2013 Conference Summary in three slides is available here . 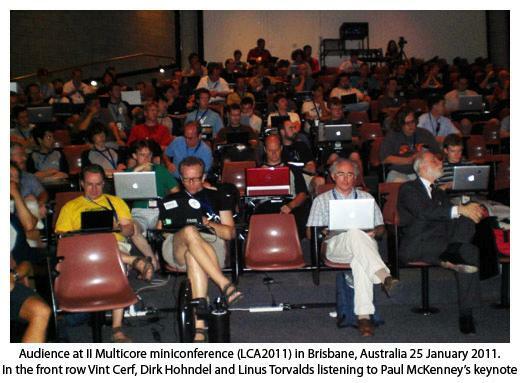 2011 – Multicore & Parallel Computing miniconference, part of LCA2011. 2010 – Multicore & Parallel Computing miniconference, part of LCA2010.